Drainmatic has an alarm function which can be connected to a buzzer or a light source. If for any reason, there is any malfunction of the valve, the alarm function takes over and the buzzer sounds, made from high-quality aluminum extrusion, the valve is capable of withstanding high pressure and reasonably high temperatures. 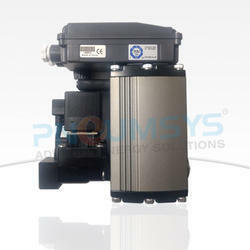 There is a high-pressure valve design which can work up to 40 bar pressure. The solenoid valve is made from high-quality materials and machined to close tolerances ensuring that there is no chance of failure in the case of an excessive load. The electronic circuit of Drainmatic is manufactured from very high-quality electronic parts sourced from reliable vendors ensuring that there is repeatability in function and a very long life. Very high cycle test done in the valves ensure fail-safe function and excellent performance. The wetted parts are also made from corrosion-resistant stainless steel and hence there is no chance of failure of a valve in the long run. High-Pressure Zero Air Loss Auto Drain Valve is equipped with a dedicated heater, preventing damage by a fire to products caused by a freeze in advance. The instructions provide how to install the heater for Auto Drain Valve and product composition. Please follow the instructions provided herein so as to ensure proper operation of the product. compositions of stainless steel ensure high durability and corrosion resistance, and the automatic temp controller maintains constant temperatures. Connection to the lead-in line of auto drain valve is done by the screw thread for easy installation. This High-Pressure Zero Air Loss Auto Drain Valve Can be used in Compressor, Dryer, Filter, Receiver. Technologically developed Zero Air Loss Solenoid Valve Type is primarily used for controlling the rate of flow in both fluid and air powered tools, motors and systems. Here, condensate collects in the container housing and valve remains closed and leak proof. As the container is filled to the upper or high-level sensor point on the solenoid valve lifts the plunger because of magnetic flux, which is generated by the activated coil. The solenoid coil is manufactured using very good quality winding and a strong gauge of copper wire. The plunger and sleeve the assembly is manufactured using extremely high-quality stainless steel ensuring that there is no corrosion ensuring that there will be no leakage all malfunction at any cost even at extremely low or uneven pressure ranges. The alarm function ensures compete for feedback and support Even at remote locations. and recovery of investment expenses is fast. Outlet diameter is large (Inside diameter 12mm) so there is no choking. All operations are automated so no settings required. 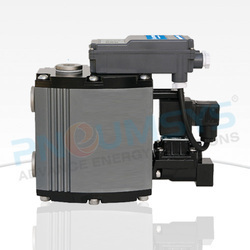 Model varies from small to high high-capacity according to the capacity of using a compressor. Self-cleaning mode automatically takes over in the event of a blockage which purges the value. Automatic Drain Valve for Air Compressor is primarily used for controlling the rate of flow in both fluid and air powered tools, motors and systems. Here, condensate collects in the container housing and valve remains closed and leak proof. As the container is filled to the upper or high-level sensor point on the solenoid valve lifts the plunger because of magnetic flux, which is generated by the activated coil.